Developed under the program for improving the maneuverability of the T-26 light tank through redesigning its chassis to a wheeled caterpillar type. The prototype was built in 1935. The vehicle saw service on February 29, 1936 after a series of modifications. At least four vehicles from the experimental batch underwent trials in 1937, but the production was discontinued due to transmission faults and high cost. The manufactured vehicles were used during the Winter War and World War II. Unlike the T-26, this tank has a decent acceleration rate and speed, as it's actually a T-26 on a BT-2 suspension. While it still possesses a weak armor, it gains access to some considerably superior weapons; an accurate 45mm, a quick-firing 37mm, and a hard-hitting 76mm howitzer that can deal massive damage to the enemy. This tank is a good flanker. 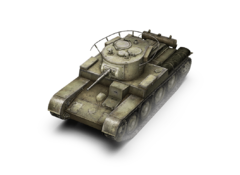 The T-46 offers a good combination of speed and firepower, but has no noticeable armor at all. Its speed and acceleration is on par with the faster tier 3 tanks like the Pz.Kpfw. III Ausf. A, or the M3 Stuart, but it has problems keeping up with the BT-7. Its gun selection includes the accurate and high pen 45mm VT-42, the 76mm L-10 close range howitzer, and the 37mm Automatic SH-37. The best gun for this tank depends on personal play style and preferences, as it can be played successfully with any of them. The 37mm ZiS-19 gun carries over from the T-26. Install it immediately. All upgraded modules can be used without upgrading the suspension. If you prefer a more supportive play style, research the second turret and then the 45mm gun. If you prefer a more aggressive play style, research the second engine, then the turret, and then either the 76mm or the autocannon. The T-46 Light Tank was developed in an attempt to improve the mobility of the T-26, the most numerous Soviet tank from the mid-1930s until the German invasion of 1941. 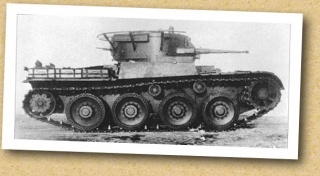 The T-26 suspension consisted of eight small road wheels carried in pairs on small bogies. The bogies were supported in pairs by leaf springs. 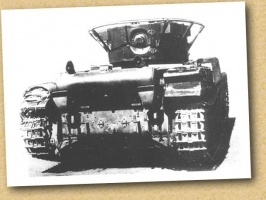 This was less effective than the Christie suspension used on the BT series of fast tanks, and so in 1935, S. Ginzburg of the OKMO team at Zavod No.185 was ordered to produce a new version of the T-26 using the Christie suspension. A small production run of seventy tanks was planned. The project was abandoned after the production of a number of prototypes (or possibly of all seventy tanks from the first production run). The T-46 proved to be too complex to mass produce (a flaw that would also cause the failure of the T-25). It also offered little or no benefit over the BT series tanks. Ginzburg and his team were ordered to concentrate on improving the design of the T-26, and produced the T-26S Model 1937. One brigade is known to have used some of the existing T-46s during the fighting in Finland in 1940, where the Red Army suffered a humiliating setback. A few T-46 prototypes were deployed in October 1941 as one of the desperate measures to stop the German advance to Moscow. Although it is not clear weather these T-46s ever engaged in actual combat, they were used in a static defense line. With wheels and tracks removed and buried into the ground, emerging turrets had the role of a static pillbox. T-46 Light Tank Photos & history. This page was last modified on 22 September 2014, at 19:27.